It's pretty much common knowledge that your smartphone isn't going to be able to snap pictures that are as good as those from a dedicated digital camera. Here we'll present some of the differences between the two form factors and explain how the physical limitations of a smartphone count against it - as well as look at some of the ways around those restrictions. It should help you decide which type of gadget to take on your next adventure. Smartphones do a fantastic job of packing some high-end electronics into a very small space, but when it comes to the camera - as with the internal processor and storage - manufacturers have to sacrifice some power as a result. Both the sensor (inside a camera) and the lens (fitted in front of the sensor) have to be shrunk to fit inside a smartphone. Smaller camera sensors lead to more noise in the image, a problem that's exacerbated when there isn't much light to play with (that's why a digital camera becomes even more useful in a darkened room). A larger sensor is able to let in more light, but the size of these components are severely restricted in the smartphones of today. Megapixel counts have often been used as a rough-and-ready guide to how good or bad a particular camera is, although at this stage in the game, and a larger sensor means more megapixels and a bigger picture - a full-frame DSLR might have a sensor some 30 times larger than the one on an average smartphone (Canon's latest is able to capture images 30 times the size of 4K video). A consequence of larger lenses and sensors being able to let in more light is that images can be captured more quickly too. That's why you don't see sports photographers carrying around cheap point-and-shoot cameras or smartphones: by the time they've 'seen' what's happening, the scene has changed, and it's another benefit of using a dedicated camera. More space inside the device means more control over lens settings too. All of those juicy camera settings you can get at in high end cameras - shutter speed, aperture, white balance, ISO settings and so on - typically aren't available on a smartphone (although they can be accessed in limited form on some of the high-end ones). Then there's the zoom: your smartphone camera lens obviously can't extend forwards and backwards like the one on a dedicated device, so you're stuck with digital zoom (which is just like zooming into a picture in an imaging editor program). While the best smartphones have sensors as good as cheap point-and-shoot cameras, optical zoom is one area where they still lag behind, because there's no extra room to play around with. And once you get up to more expensive cameras and DSLRs, the difference from a smartphone becomes even more pronounced and noticeable. Of course the high-end cameras have interchangeable lenses for extra zoom or a wider angle, a luxury you don't have on a smartphone (unless you invest in something like the Olloclip). More expensive cameras also offer better flash capabilities - more light that's better focused - and they're better at correcting image shake too (another consequence of those larger sensors and more space inside the device). Some high-end phones do now offer a basic level of optical image stabilisation, including the iPhone 6 Plus, so progress is being made. A lot of these problems are fairly intractable: it's difficult to image super-zoom lenses ever being fitted inside something as thin as the Samsung Galaxy S6, for example. At the same time the last 20 years of technological innovation have taught us that a lot can change very quickly, and manufacturers are working hard to invent superior optics and new types of lenses to make smartphone cameras better than ever. You'll notice a lot of phone reviews looking at photos captured in good light outdoors, and that's where mobiles can really give the dedicated devices a run for their money. As soon as you need some kind of zoom or wide-angle feature, or need decent shots with less-than-perfect lighting conditions, they can start to run into trouble. If you read up on some of the innovations being made in smartphone technology, you can see that the gap is closing - Apple's iPhone 6, for example, uses dedicated on-sensor pixels to determine focus distance, meaning it can focus twice as fast as the iPhone that came before it. That brings the handset much closer to the territory of a dedicated camera. 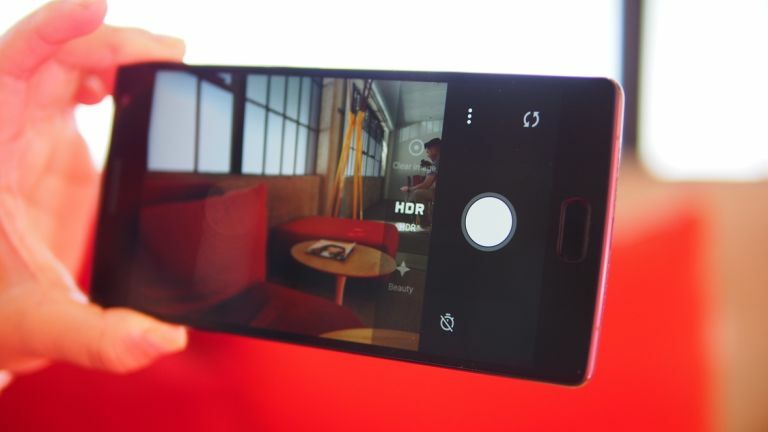 Then there's the newly unveiled Sony Xperia Z5 series of smartphones, which the manufacturer promises offer the best cameras yet in a mobile device. Thanks to some advanced image processing and some new lens optics, these phones promise to tackle all of the main issues with smartphone photography: zoom, autofocus and low-light performance. While a lot of these improvements are in software rather than hardware, it shows phone makers won't stop in trying to get smartphone photos to be the best they can be.